Toho submitted the film to the US copyright office on December 18th, 1986 with the registration number of PA0000317016. This registration contained the international title, Lake of Dracula, and a shorted version of the Romaji title, Chiosu Me. Lake of Dracula is the middle entry in the "Bloodthirsy trilogy", a series of unconnected vampire films directed by Michio Yamamoto. The other movies in the series include Vampire Doll (1970) and Evil of Dracula (1974). The name for the trilogy, which has been used in media releases like the "Bloodthirsty Box" DVD box set from Toho, comes from the Japanese titles, which always featured the word "Bloodthirsty" (血を吸う - Chiosu). 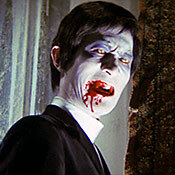 Vampire Doll (1970), the first entry in the "Bloodthirsy trilogy", had originally been created around miscommunication, with director Michio Yamamoto wanting to create a movie like those of Alfred Hitchcock while producer Fumio Tanaka was more interested in a more traditional monster horror film. After Vampire Doll was a success, though, Tanaka got his wish and a more traditional vampire film was created with Lake of Dracula. This fact is found in the book Monsters Are Attacking Tokyo (ISBN: 0922915474). 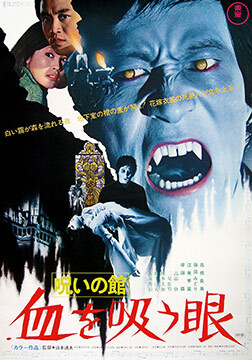 The early working title for the movie was "The Phantom Vampire" (幻の吸血鬼 - Maboroshi no Kyuketsuki). This was present on multiple early drafts of the script in 1970. The final title first appeared on scripts on January 8th, 1971, seen on the front cover of the 4th draft of the script. This was submitted a little over 5 months before the movie's June 16th, 1971 release.